A fire which ripped through a Grade II-listed building in Whyteleafe last month may have been started deliberately, police have said. The blaze destroyed a disused structure in Victor Beamish Avenue near Kenley Aerodrome at around 11pm on January 29. 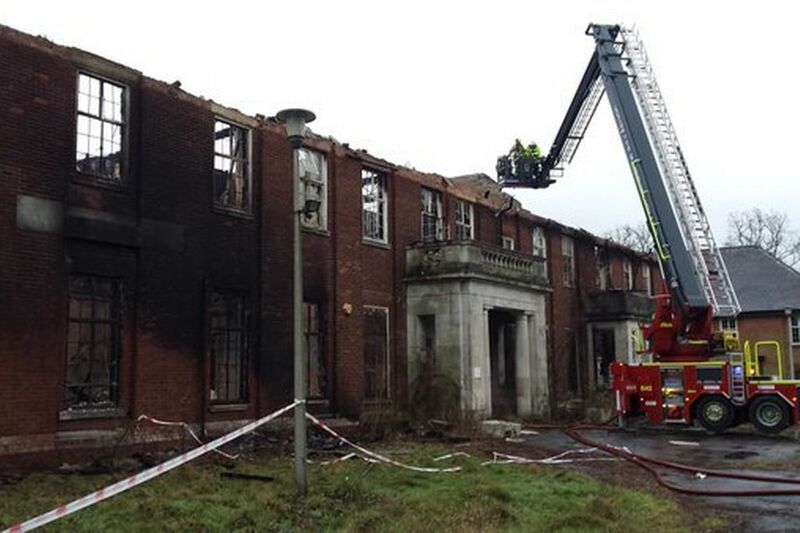 Ten fire crews from across Surrey tackled the blaze until the early hours – but the building, a former officers’ mess, was left just a shell. And despite support from two water carriers, an aerial ladder platform and appliances from London, it took the best part of 12 hours to bring the vicious fire under control. Surrey Police said on Monday (February 8) that the force was treating the blaze as a suspected arson attack and was appealing for anyone with information to come forward. Anyone with information is asked to call Surrey Police on 101 quoting reference 45160008137, report any information online, or call Crimestoppers charity anonymously on 0800 555 111.